The Board of Directors invites you to support the musical arts in Central New York by donating to the ACO. The orchestra members are all volunteers and receive no compensation. They selflessly contribute to the community with their passion for fine music. Nonetheless, there are still operating costs involved with each concert from music rental or purchase to marketing. 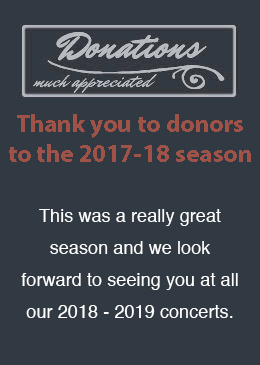 We encourage you to act soon, as your support helps us bring these wonderful concerts to our community. No gift is too large or too small and as always, all contributions are tax deductible (to the extent provided by law). Your gift to the Auburn Chamber Orchestra is deeply appreciated and may be tax deductible.